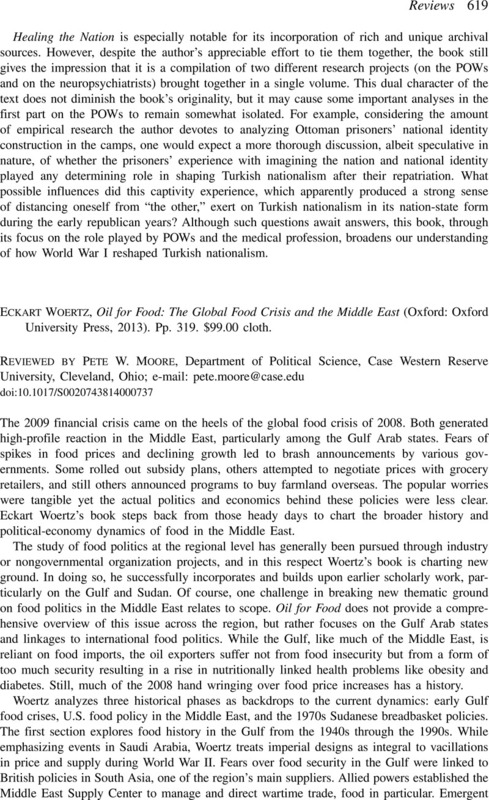 Eckart Woertz, Oil for Food: The Global Food Crisis and the Middle East (Oxford: Oxford University Press, 2013). Pp. 319. $99.00 cloth.